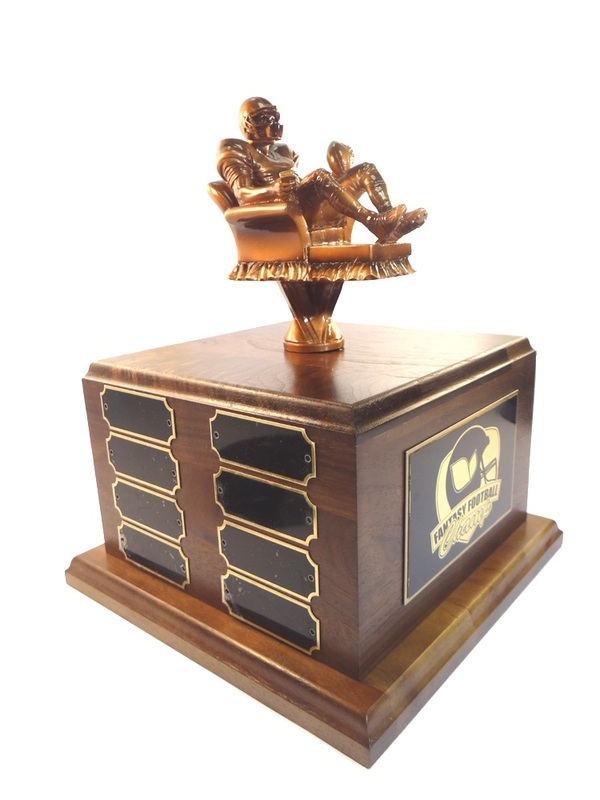 11" tall bronze Fantasy Football Player Trophy on custom walnut base. Please add $15.00 for custom logo. Please e-mail logo to sales@victoryawardsandtrophies.com .